Deb Matthews may want to get out more. We’ve previously noted that Ontario’s Health Minister has made far fewer public speeches than her predecessors. The Ministry’s on-line speech archive lists two speeches for Matthews this year, one for last year. There have been a total of five press releases issued during the summer months (June to August), most dealing with basic alerts, such as reminding Ontarians to protect themselves from West Nile virus. For a government intent on radically remaking the health system, there appears to be very little coming out of the Minister’s office. The effects are telling in a recent poll around the province’s long waited health action plan. When the Local Health Integration Networks were formed, the province was charged with developing an overall health strategy. This was supposed to be the basis for the LHINs own integrated health service plans. In January of this year – six years later — Matthews finally announced the province had a strategy, a thin 16-page document that had four main objectives – better access to family doctors and nurse practitioners, illness prevention, shifting funding to achieve best value, and to better support seniors at home. Almost eight months later most Ontarians say they don’t know much about the province’s action plan for health care. When the respondents were asked if they thought the government was doing a very good or good job on these priorities, most said no. About half – 51 per cent – said the government was doing a good job on illness prevention. About a third (33-35 per cent) said the government was doing a good job on the other three priorities. Meanwhile much is happening without public scrutiny or comment by the government. We reported last week that Matthews had told a nursing meeting that the moratorium on competitive bidding was now permanent. Yet where is the press release, the speech, or any details on what the government plans as an alternative? We asked for confirmation last week. We’re still waiting. Hospitals are also undergoing a significant change in their funding structure, yet few members of the public seem to understand it. We asked months ago for a detailed breakdown on how the funding formula is being calculated. We’re still waiting. While the spring budget gave the biggest funding increase to home care, nobody seems to know when that funding will flow or how it will flow. Meanwhile the waits pile up. Before the election the McGuinty government promised us new regulations on patient transport, making it sound like a major priority amid reports of dirty unsafe vehicles. There has been no word since. Similarly the McGuinty government promised us that the overdue review of the Local Health Integration Networks would finally take place. It is our understanding that this task will be given to a standing committee of the legislature, but we don’t know when or how open the process will be. Right now if you want to know what’s going on, the most useless place to look is the Ministry of Health website. If Deb Matthews wants buy-in on her plans, she should let us in on what those complete plans are. The Vector poll would suggest most Ontarians don’t know what that action plan is, and when they are given a basic outlines of priorities, believe the government is failing to do a good job. Given health’s position as a top issue of concern for Ontarians, Premier Dalton McGuinty may want to pay some attention here. The Vector poll was taken August 8-20 nationally with 1,102 adults participating. The Ontario segment is a sample of 500 – sample error would be 4.4 percentage points up or down. 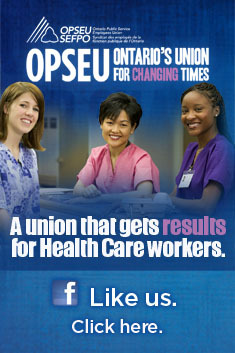 The poll is sponsored by a coalition of labour organizations, including OPSEU. This entry was posted in Local Health Integration Networks and tagged Deb Matthews, McGuinty government health plan, Ministry of Health and Long Term Care, Ontario Health Action Plan, Vector Poll. Bookmark the permalink. Great article — many thanks. From my corner of Ontario — the Niagara peninsula — the only plan that the McGuinty government seems to have on healthcare is to keep cutting services while pretending that this is all in the interests of the patient. Even the steely Deb Matthews seems to be showing the strain of having to pretend that less healthcare = better healthcare.